All Del Sur homes currently listed for sale in Del Sur as of 04/24/2019 are shown below. You can change the search criteria at any time by pressing the 'Change Search' button below. "Imagine flying in and landing on your very own private runway on a one-of-a-kind ranch just 40 aerial miles north of Los Angeles, and 30 scenic minutes north Valencia and the San Fernando Valley. Built in 1924, this hidden 5500 sf solid granite Irish manor has 8 Bedrooms, 6 bathrooms, 8 fireplaces, 2 kitchens, and a grand room. 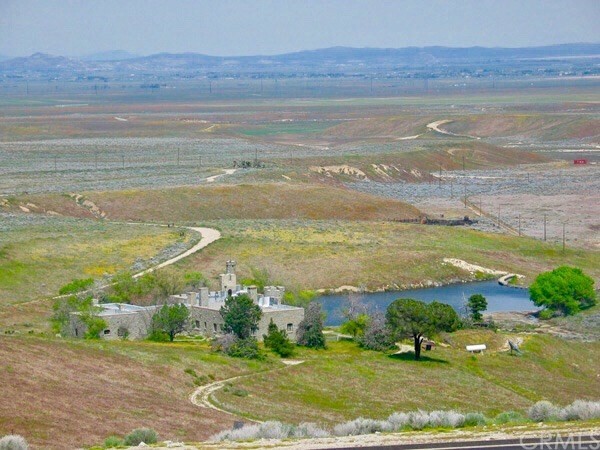 Sits on 506 acres of gently rolling hills and flat land (8 Parcels) that includes a 6-acre pond, retained by a magnificent stone dam, a solid 2500 sf granite stables, a 3"